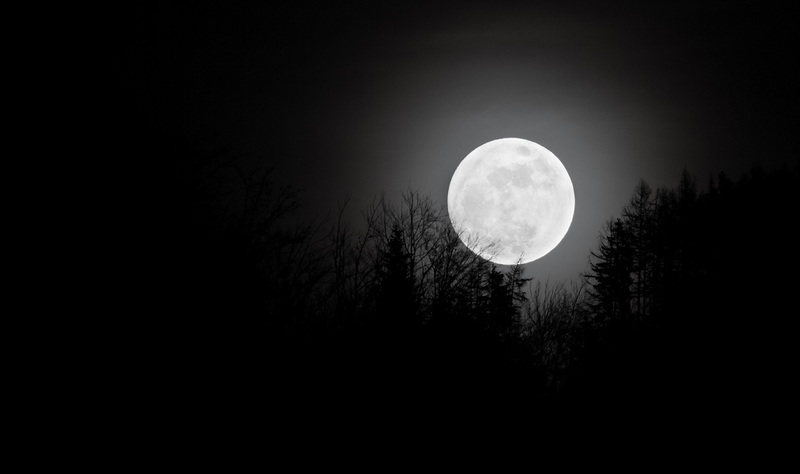 Amāvāsyā (Sanskrit: अमावस्या) means dark moon lunar phase in Sanskrit. The word Amāvāsyā is common to almost all Nepalese and Indian languages as most of them are derived from Sanskrit. Ancient Babylonian, Greek and Indian calendars used 30 lunar phases, called tithi in India. As per Hindu Calendar there are 16 thithis (Lunar days) out of which 14 gets repeated twice in a cycle of 30 days starting from Prathipada (Paadyami) and ending with Chaturdasi. Other two thithis that occur once in a month are Pournami and Amavasya. Thus, there are 15 thithis in each fortnight one ending with Pournami called as Sukla Paksham (bright fortnight) and the other ending with Amavasya called Krishna Paksham (dark fortnight). Amavasya is also known as Darsha thithi. On this day of Darsha, Thila tharapana is given to forefathers. 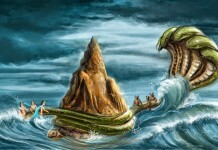 Chaturdasi overlapping with Amavasya is called as Sinivaali and Amavasya overlapping with Prathipada is called as Kuhu. Both are astrologically considered malefic. In a Lunar calendar year Amavasya occurs 12 times and of all the thithis Amavasya is given lot of significance in Hindu religion and spirituality. All Amavasya days are appropriate to perform Shraddha rituals to appease ancestors. Amavasya day is also appropriate day to perform Kalasarpa Dosha puja. 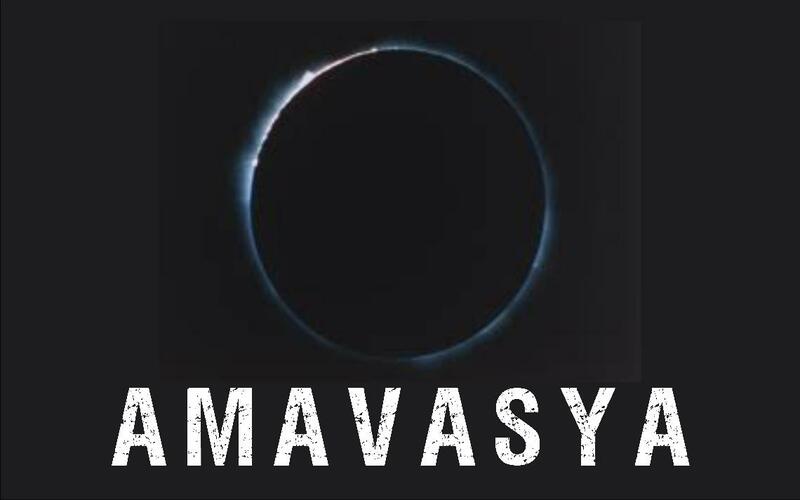 Amavasya is the darkest day of the month. On this day Moon will not be visible and it is called as New Moon day or no Moon day. 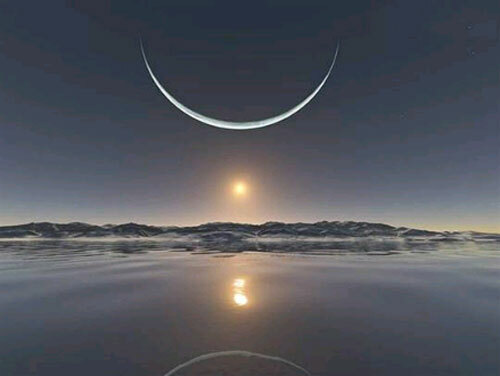 On the day of Amavasya both Sun and Moon conjoin together. 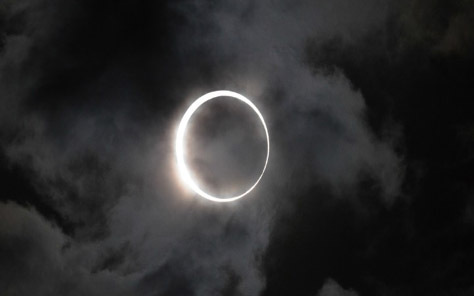 Solar Eclipse occurs on Amavasya Day. Pithru Devathas are presiding deities of Amavasya Thithi. Amavasya is the most favourite day for worshipping Pithru Devatas. Sacred rituals are performed for forefathers on the day of Amavasya . We also find people observing fast on Amavasya day. People specially worship Goddess Durga; Lord Narasimha; Lord Hanuman and Lord Saturn on Amavasya day to ward off the problem of evil spirits and other astro problems. 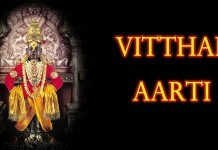 Lord Sri Krishna’s Niryaana took place on Amavasya day. While in general Amavasya is considered as inauspicious for starting any venture; as an exception we find in Tamil Nadu it is considered as auspicious. Tantric remedies are performed on Amavasya day especially on Amavasya days coinciding with Sunday and Tuesday. Amavasya is the name given to Achhoda; Manasa Puthrika (Mind born daughter) of Pitru Devatas. Gatari , which is also known as Gatari Amavasya, is observed on the last day of Ashada month, as per Hindu calendar, on a new moon day or Amavasya. This is a regional festival celebrated in Maharashtra and some parts of Goa. Gatari is a popular ritual and is a celebration of joy and happiness. On this day people indulge in non-vegetarian food and alcohol with friends and family as many will observe fast during Shravan month, which begins from the next day of Amavasya. During the holy month of Shravan, people strictly abstain from drinking alcohol and non-vegetarian food. This is because, during this period when the monsoon will be at its peak, the stomach is said to be most susceptible to digestion problem. Therefore to get ready for the vegetarian food during Shravan, people on Gatari Amavasya, a day prior to Shravan, enjoy different types of non-vegetarian food. Alcohol is a big part of the celebration. It is called Gatari because usually people drink so much alcohol and some even fall into gutters. Gatari Amavasya is celebrated as Bhimana Amavasya vrat in Karnataka and Haryali Amavasya in Gujarat. Hariyali Amavasya is the no moon day during the auspicious month of Shravan. It usually falls 3 days before the holy occasion of Hariyali Teej. It marks the arrival of the monsoon season in India. On this auspicious day, people worship Lord Shiva. Their prayers are directed toward hoping for a fruitful monsoon season which will yield good agricultural produce. Shiva temples across the country arrange a special day for Shiva Darshan. In‪‎ Mathura‬, devotees of Lord Krishna visit the ‪‎Dwarkadish‬ temple and offer prayers. In ‪‎Vrindavan‬, people visit ‪BankeBihari‬ temple to do the same. Here, the Phool Bangal Utsav ends on the day of Hariyali Amavasya. A mass ‘puja’ is organized in Jaipur too. Aadi Perukku is a Hindu Tamil festival celebrated on the 18th day of the Tamil month of Aadi in order to pay tribute to the life-sustaining properties of water. There are seven Groups of Pithru Devathas viz. Vyrajas; Agnishwatthas; Barhishadas; Sukalas; Angirasas; Suswadhas and Somapas. Achhoda is Manasa Puthrika (Mind born daughter) of Pithru Devathas who had great devotion and respect for them. Once upon a time she performed a great penance targeting Pithru Devathas. Pleased with her prayers they appeared before her to give her a boon. When they appeared before her, Achhoda got fascinated towards one of the Pithru Devathas by name Mavasa. Due to this sudden reaction of hers, Achhoda was referred as Mavasya. As Maavasa did not show any counter reaction; Achhoda was later referred as Amavasya. Because of this sudden passionate reaction, Achhoda lost her Divinity. Sympathized with her condition and pleased with her penance; Pitru Devatas gave her a boon that thence forth she will become popular as Amavasya Thithi that will be a favorite day for Pitru Devatas. They also said that, whoever perform Pitru Kaarya on Amavasya day; Pitru Devatas will get immensely pleased; bestow them with sumptuousness. It was a Divine Sankalpa that Achhoda took birth on the Earth in the 28th Dwapara Yuga in the womb of a fish and was brought up by a fisherman called Vasu. She was called Matsyagandha and later as Satyavati; who gave birth to Lord Vedavyasa in a divine meeting with Sage Parasara. Later she married King Shantanu of epic Mahabharatha.